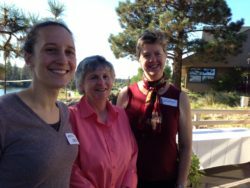 Cascade Women Lawyers is the Central Oregon chapter of Oregon Women Lawyers. The chapter meets bi-monthly, usually in Bend. Officers for 2017-2018 are President Erica Strader, Vice President Golsima Hagen, Treasurer Elizabeth Oshel and Secretary Laura Markham. Contact Erica Strader for more information.